Felisa White, Executive Director at Mujeres Unidas en Acción (MUA), in Boston, MA, shares how her agency has been using the MoneyWi$e modules. MUA is one of the first non-profits in Boston founded by and led entirely by Latinas. Our mission is grounded in mentoring and training women who were failed by society and/or by the public school systems. When students first enter our program, they often lack all or most of the following: a diploma, marketable job skills, health insurance,stable housing, self-esteem, a positive attitude, and most importantly, a place to find education, peer support, empowerment, and healing. MUA provides all of these things and more. MUA’s guiding vision is to ensure that Latinas who have been on the outskirts of society – whether poor, formerly incarcerated, or living in shelters – have our agency as a resource. We hope to help them resolve their problems, assume leadership roles within the community, become self-sufficient, and of course heal from abusive and other negative circumstances they have experienced in their lives. The goal of MUA’s financial literacy program is to provide Latinas the tools they need to empower themselves and make informed decisions regarding budgeting, spending, saving, and securing sustainable employment with benefits. We accomplish this through financial literacy classes, workshops and trainings. Our students are at particular risk for ID theft, fraud, and scams due to poor credit histories (if they even have one), low incomes, and the commonality of their last names (i.e. Martinez or Diaz). By teaching them about these topics, our women improve their current and future financial stability for themselves and their families, thus strengthening the fabric of the neighborhoods and communities in which they live. Low-income Latinas and their families, 80% of whom come to us from shelters. What specific materials are you using in your financial literacy program? The MoneyWi$e series was developed in partnership with Capital One Bank. Our approach to adult education emphasizes exploring the social context of our lives while developing specific skills, including financial, economic, social, and political literacy. The distinguishing factor of the educational program at MUA is the parallel development of language skills and critical thinking skills via Freirian’s participatory, learner-centered, student-generated curriculum and philosophy. Adult educators throughout the world have found that adults learn best when the material presented in class not only has immediate relevance to the reality of their lives but also integrates our students’ life, culture, and work experience. MUA’s financial literacy and outreach program covers topics such as credit, banking, home ownership, scams, ID theft, and more. MUA offers a series of 10 workshops on financial literacy education and staff meets with our program participants in groups and one-on-one to provide counseling. The MoneyWi$e materials are responsive to our overall approach as well as simple, flexible, and easy to use and understand. Hand-outs, brochures, and lessons from the website are easy to implement both with small and large groups as well as individuals. They put the instructor and students on an equal playing field to engage in dialogue around the proposed topic. Both staff and participants have ample opportunity to share their experiences, grow, and learn. There are many terrific suggestions for workshops, icebreakers, problem-posing, and helping participants open up both at the individual and group level. What methods and approaches did you use? One methodology that emerged was creating an interdisciplinary approach to implementing the Moneywi$e curriculum. For instance, at the workshop that MUA held on budgeting, students shared that they had a hard time balancing their checking accounts and as a result were paying bounced check fees. In response, the Pre-GED and GED instructors created lessons on balancing a checkbook, and applying the appropriate mathematics skills. MUA also provided follow-up information on purchasing overdraft protection and understanding the fees that come with ATM cards, such as drawing from a bank that is not part of that bank’s network. 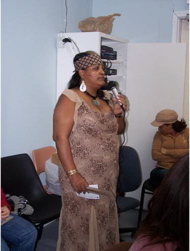 As is the case every year, several of the women in each workshop and in GED and English for Speakers of Other Languages (ESOL) classes had unfortunately been victims of identity theft and accumulating high credit card debt. As a result, they felt embarrassed to partake in the discussions. What helped was establishing and listing the ground rules for the start of each session: 1) All of us are here to learn from one another 2) What is within these four walls stays here and 3) The only foolish question is the one that is not asked. This helped to set up an environment of trust. In addition, teachers and the other students shared their experiences with credit cards, saving money, and building credit. As a result, everyone was encouraged to ask questions and make an effort to learn the day’s lesson. Since the inception of our financial literacy program in 2006, MUA has reached over 2,000 unduplicated Latinas and their families. The MoneyWi$e Program and Consumer Action have been instrumental to the creation and growth of MUA’s financial literacy program. The best practices that we can impart regarding financial literacy effectiveness and the MoneyWi$e approach are both the time and simplicity factors. Half of the students who enter MUA for the first time have the equivalent of a 6th grade education or less and have poor literacy skills in their native language Spanish, let alone English. MUA is grateful that the Moneywise materials are 1) Available in the students’ native language, which saves us hundreds of hours and staff resources to translate the materials from English into Spanish and 2) Geared at a 6th to 8th grade level of understanding. People need to understand the information before they can apply it to their lives-be that money management, spending, saving, debt, bankruptcy, identity theft. Simply put, it is through this knowledge that our students can set and meet financial goals; create savings plans; and overall make a better, hopeful situation for themselves and their families. MUA is a “one stop shopping” resource, if you will, that helps students to access housing, the English and computer skills to obtain a job, health insurance, a GED, college, and more. Our financial literacy program is the link tying all these resources together and helping students to manage them. MUA helps students through every step of the way to meet the goals they set upon entering our program. The women in our program comment that our staff is like “trusted friends” and that MUA is one of the few safe places in their lives where they can work on resolving their problems and that nothing gets them down. In our program, we hear from mothers that want to attend college; send their own children to college; buy homes in the long-term; secure a job; open a checking account; save money for furniture once they leave the shelter; create a budget; and rebuild their credit. In a recent class, one woman broke the cycle of payday loans by borrowing money from her mother to catch up on bills; making a commitment not to borrow short-term money and manage her budget better; and arranging a payment plan to her mother to get out of debt in four months. Another young mother got information about first-time home buyer programs and opportunities for minorities to assume home ownership in Boston. Her husband is very handy and has a background in home remodeling. It is their goal to purchase a two-family home by September 2009 and take advantage of the sluggish housing market to get a good deal. Through participating in the workshop on budgeting, 1 student is saving extra money towards studying at Boston University to continue her training that she started in Mexico as a dental hygienist. She is also researching an internship program that will pay for her courses at B.U. if she volunteers for a year providing dental care to the homeless. 7 women opened their own businesses in the past year, including day cares and hairdressing/cosmetology. All of these women have shared their stories at MUA and are role models for how financial literacy education transforms lives. These are just many examples indicative of how well the Moneywi$e program works! Students in the computer classes have email accounts to communicate with other students and the teacher. Thus, they become constantly inundated with the Nigerian scams that ask you to give your bank account to transfer large sums of money for a “businessman” and reap a commission, the UK lottery, debt consolidation predators, and much, much more. For one class students printed out the most common ones they had been getting to present to MUA’s student body for a workshop about fraud, scams, and identity theft. One student in the workshop told me that her boss was going to reply to one that Bank of America supposedly sent. The student said that she got in an argument with her boss because her boss said it was real, as it looked exactly like Bank of America’s site. Her boss made a call to Bank of America and verified that it was a phishing scam. Teachers did classes on doing grocery shopping with a list and coupons; searching the flyers for deals; and frequenting alternative establishments such as ethnic grocery stores and farmers’ markets, which can sometimes be cheaper. Teachers taught roughly 78 students in 4 English for Speakers of Other Languages (ESOL) I classes and brought their classes individually to stores in our neighborhood, which has quite a number of Vietnamese produce shops and markets. One shop owner gave MUA’s students a “group discount” on bananas and lettuce and each student purchased a large sac to bring home. We gratefully acknowledge the support of Consumer Action and Capital One Bank for their generous financial literacy grants and long-term support of MUA’s program, even in these uncertain economic times, when such programs are needed more than ever. In short, we would not have a program without their support. We have reached thousands of families through their brochures, hand-outs, and website, especially as our students take away what they learn and disseminate to their families and friends, thus creating financial advocates in Boston and beyond. MUA is proud to be a partner of such a renowned organization!